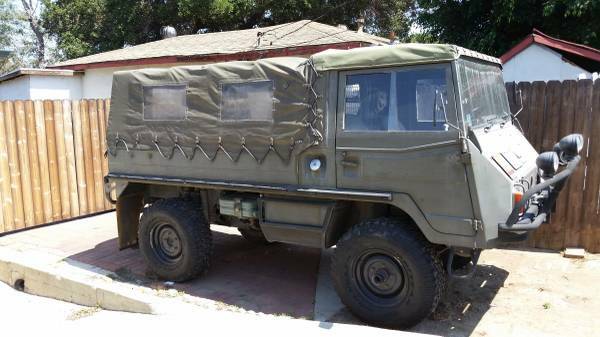 Found this from Craigslist, interesting military vehicle made by Steyr Puch was built in 1973 being offered for sale in Prescott, Arizona. 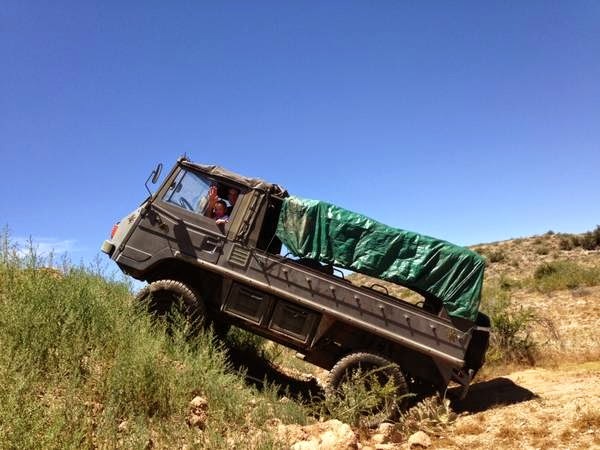 As shown here is Pinzgauer 710M model has been completely and professionally refurbished. 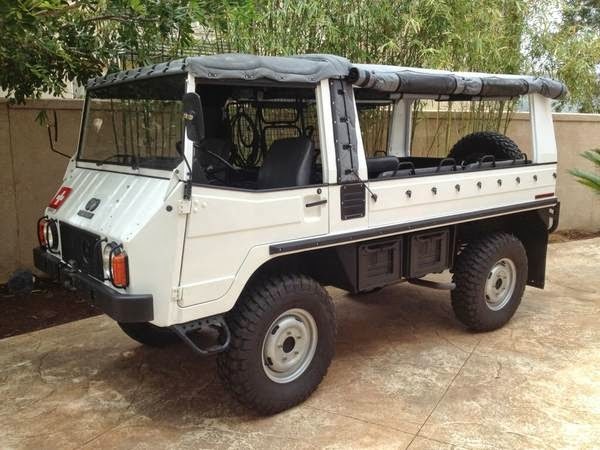 This could be a great and unique offroad vehicle was offered today. If you are interested please read more detail below. 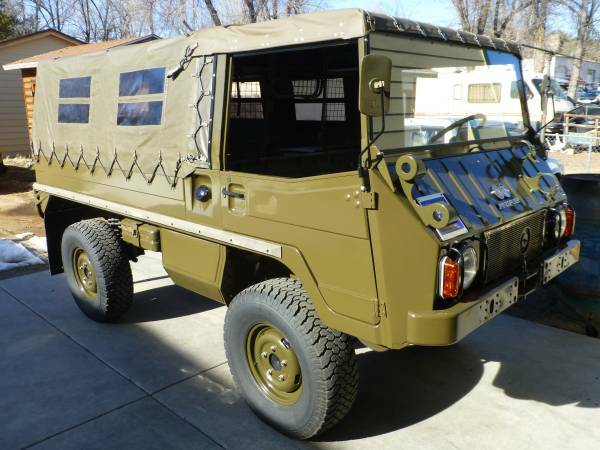 1972 Steyr Pinzgauer 710M troop carrier for sale. Vehicle is in good original condition with only 44,000 miles. Great 4x4 for off-roading. 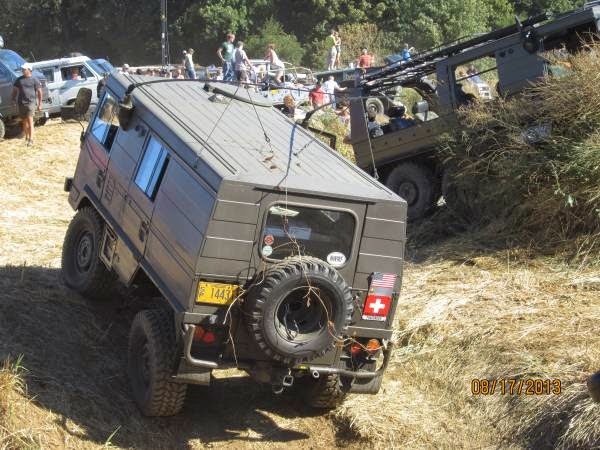 Here's a ex Swiss Army Military Radio utility vehicles for sale, this a Pinzgauer 710 built in 1973 and manufactured by Steyr-Daimler-Puch, Austria. This awesome offroad vehicles ready to go. Here's a military utility vehicles coming from Austria, this a Pinzgauer 710 built in 1974 and manufactured by Steyr-Daimler-Puch. This is a family of high-mobility all-terrain 4WD (4×4) vehicles ready to go. This Swiss made vehicle is the ultimate sport utility! It is a 4x4 that can go nearly anywhere and haul an army. Quite literally it sits 10 passengers in back as well as front driver and passenger. The sky is the limit with conversions this amazing vehicle will take you completely off the grid. Valuable and in very limited supply, this rig is a worthy investment which will continue to appreciate in value... Runs and drives well, many receipts available.